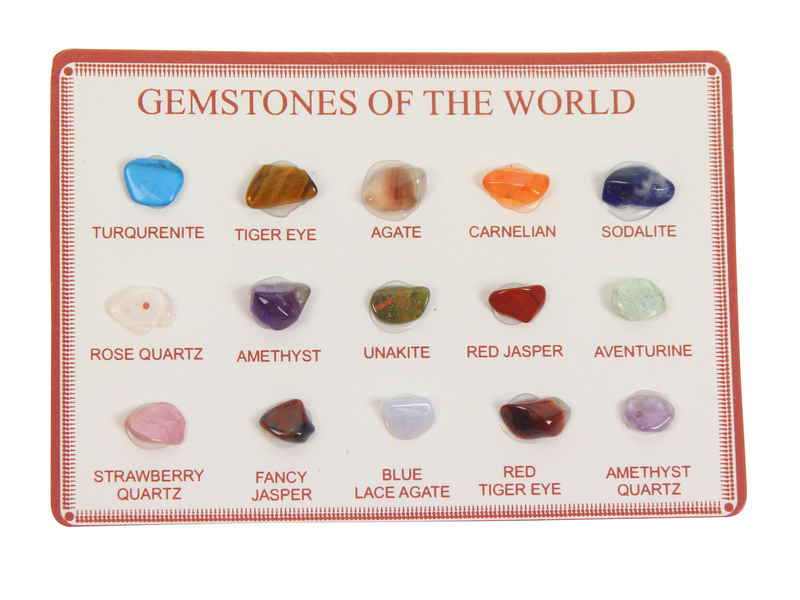 The gemstones of the world mineral kits contain 20 different stones. They come in two sizes. 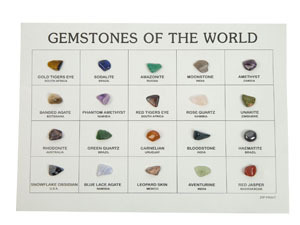 The regular gemstones of the world comes on a 6" by 8" card that is labeled with the stones' country of origins. 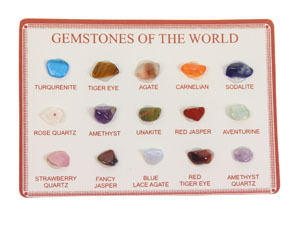 The Mini gemstones of the world comes on a 2" by 3" card that is not labeled with the country of origin. The minerals may vary over time. 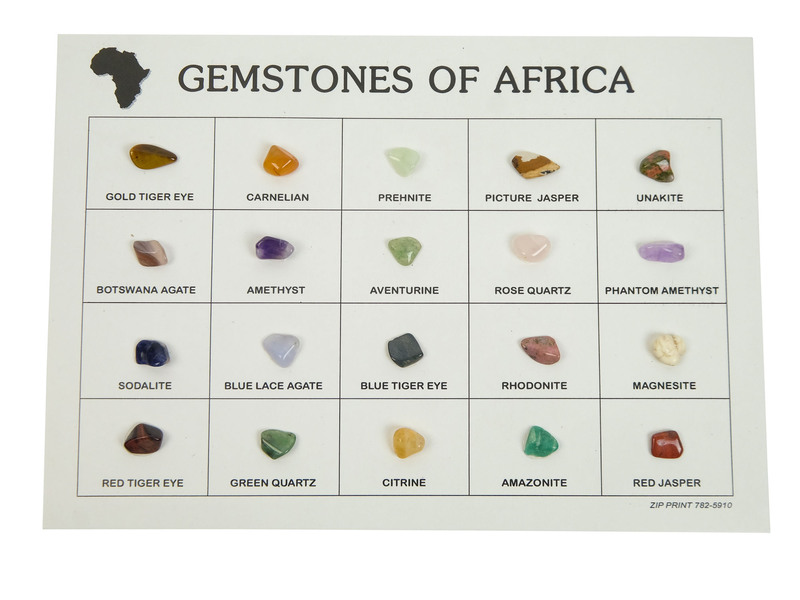 The gemstones of Africa mineral kits contain 20 different stones that are found in Africa. The minerals may vary over time. 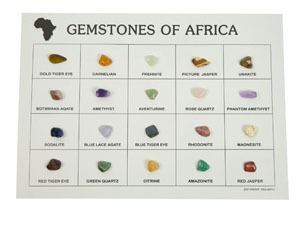 The gemstones of Aftica box contain an assortment of African stones. 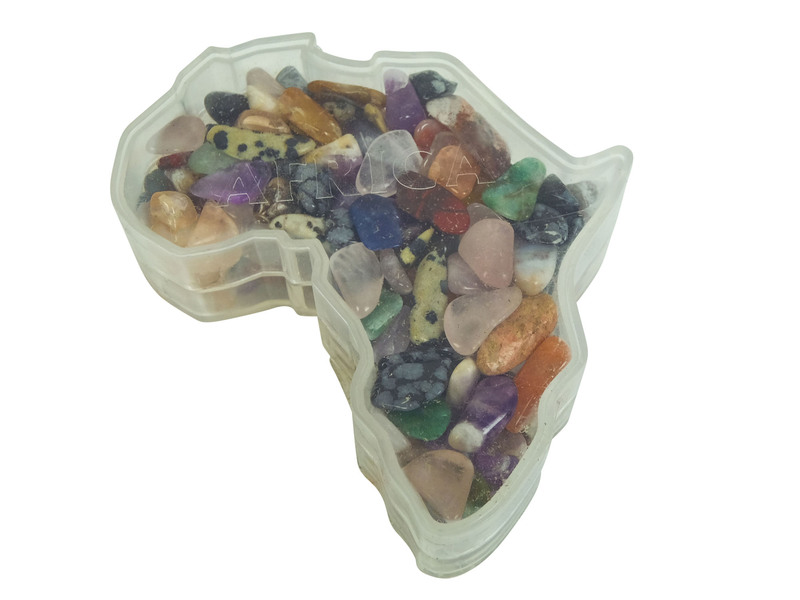 The plastic box is shaped like the African continent. The minerals may vary from box to box.